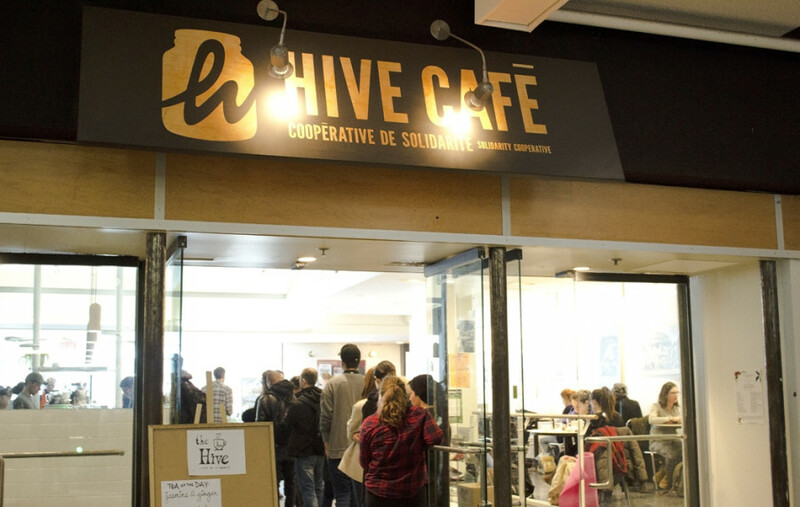 In an effort to continue operating a sustainable business, the Hive Cafe Solidarity Co-operative will be raising food prices for both their downtown and Loyola Campus locations. Items made from the Hive’s kitchen on the seventh floor of the Hall building, such as soups, salads and sandwiches, will be increasing by roughly 10 per cent. While items not produced within the Hive kitchen, such as croissants, cupcakes and muffins, will increase by about 20 per cent. Additionally, membership costs have gone up, too. The price to become a member of the co-op had previously been $10, but the Hive had subsidized half of it, making the fee only $5. This will no longer be the case—now members must pay the full $10. However, members can pay the first half upon registration, and can pay the rest at a later date. Employees will also see cuts in their pay. Cooks will now receive $12 an hour, instead of $14, and baristas will make $11, instead of $12. The changes in wages were discussed at a member-worker meetings in early July. The Hive structure has also changed. Instead of having four coordinators—Mezzanine, Loyola, Finance, and Food—the Mezzanine and Loyola coordinating responsibilities have now combined. According to Hoffman, the changes were necessary, as $285,000 was made in sales last year at both locations, but expenses totalled to $430,000. They added that the numbers were still under review and that the official finances would be released at the Hive’s annual general meeting in October. The Hive does receive money under the Graduate Student Association fee levy, and has previously received money from the Concordia Student Union. The Hive community assured that the free lunch program at the Loyola Campus will not be affected by the situation. Last fiscal year, the initiative broke even within its budget and predicts that the same will happen once again this year. Update: $48,500 of the reported number of expenses is subsidized for the the Hive free lunch program. Therefore the total amount of expenses is $381,500 according to Benjamin Prunty, who is the president of the board for the Hive Cafe. A previous iteration of the story referred to Leigh Hoffman as she. The correct pronoun was they. The author of the story regrets the error.